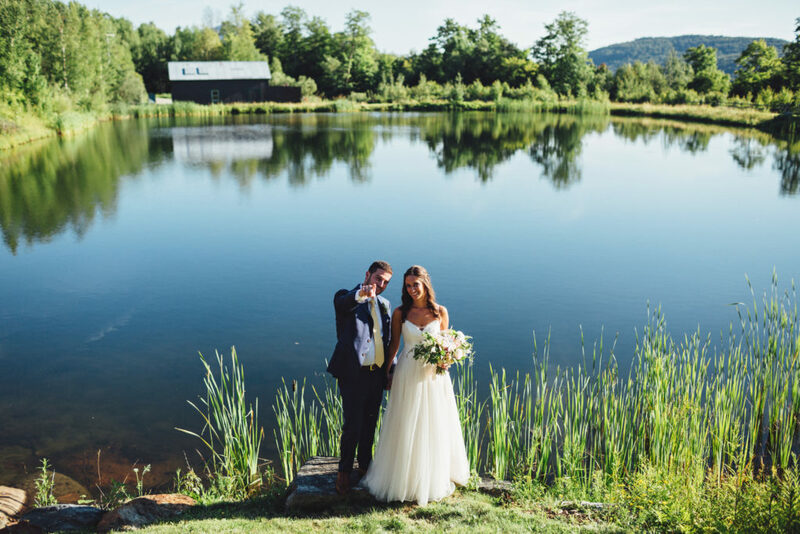 Last September, my now husband AJ and I got engaged and were married 10 months later on a beautiful mountain in Vermont. While it was an amazing and beautiful day, it didn’t come without months of stressful wedding planning. Since we wanted a cultural, unique honeymoon experience, we decided to use a travel agent to help alleviate some of the stress of planning such a big trip on top of a wedding! A friend recommended Alexis Sherry at AS Travel who planned a perfect trip to East Africa for us! 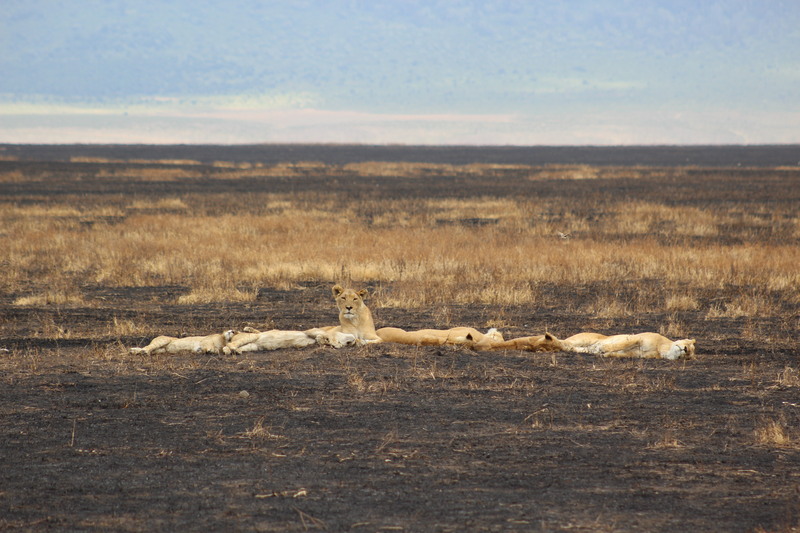 The itinerary was five days in Tanzania on safari and another five days in Zanzibar for a relaxing beach escape. We couldn’t have been more excited! The weekend before our wedding, we finally sat down and read through the itinerary that Alexis had sent to us, and noticed the suggestion of participating in Pack for a Purpose. Once we researched the organization, and understood how easy and impactful it was, we knew we had to participate. 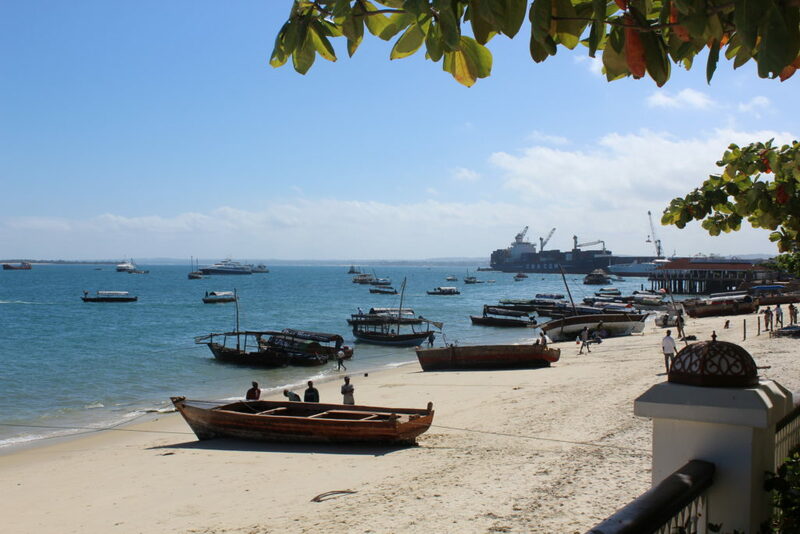 We found a lodge just outside of Stone Town, Zanzibar, called the Mangrove Lodge. We printed a list of their needs, and made a quick trip to CVS to pick up as much as we could fit in our luggage – it was actually THAT easy! We purchased sanitary products for girls in the village, medical supplies for the infirmary at the school, nursing products for newborns, and general school supplies for students. We packed the goods in our luggage and were off for our trip. We had an incredible time on safari! It had adventure, excitement, education and romance – everything you could want in a once-in-a-lifetime trip! 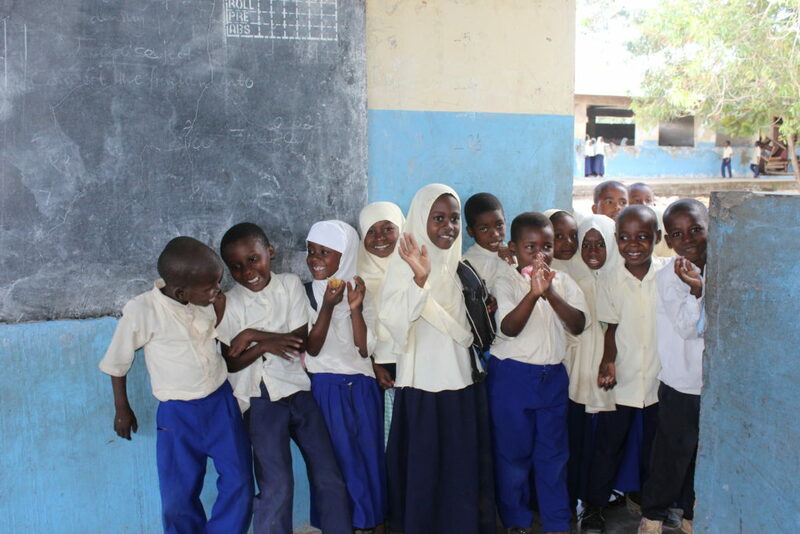 When we arrived in Zanzibar, we emailed the Mangrove Lodge to ask the best way to drop off the donation of goods. That’s all we were expecting – to drop off some supplies, perhaps exchange some small talk with someone at the lodge, and continue with our day on the beach. Little did we know we were about to have the most meaningful day of our entire trip. We received an email back saying that they would happily send a driver to pick us up at our hotel and bring us to the Mangrove Lodge to meet Haji, a local, Chuini Village resident and founder of the Mangrove Lodge. After about a 20-minute drive (half of which was on a dirt road that you couldn’t go much faster than 5 mph on), the Mangrove Lodge appeared – a breathtaking, eco-friendly, tiny slice of tropical heaven. Haji and Marina welcomed us into the lodge with warm hearts (similar in nature to our entire experience with all of the local people we met in Zanzibar). Haji then took us to the local public school and infirmary in the village to see where our goods would be going to and how they would be put to use. The doctor at the infirmary gave us a tour so we could better understand how they use their resources. It was humbling and inspiring to see how they accomplish so much with so little. We then walked around the school grounds, where the students were shy and unsure of us at first, but over time warmed up, and seemed to enjoy having us there. The most touching part of the tour was seeing the local moms selling snacks between classes. They had snacks cooking on the spot, like potatoes similar to French fries, as well as some that they had prepared a home, like ice pops from makeshift freezers. It was a fairly hot day, so the ice pops were definitely the snack of choice! The sight reminded us of our elementary school store and bake sales growing up, which many local parents helped support. It was a warming idea that even halfway across the world, in an area where people had so much less than we did at home, the basic concept of local parents coming together to help the children of the community was at the heart of the village. After our trip into the village, Haji and Marina were more than gracious in treating us to lunch at the lodge. We chatted with them about some of the programs they had going on and wanted to know what more we could do to help. 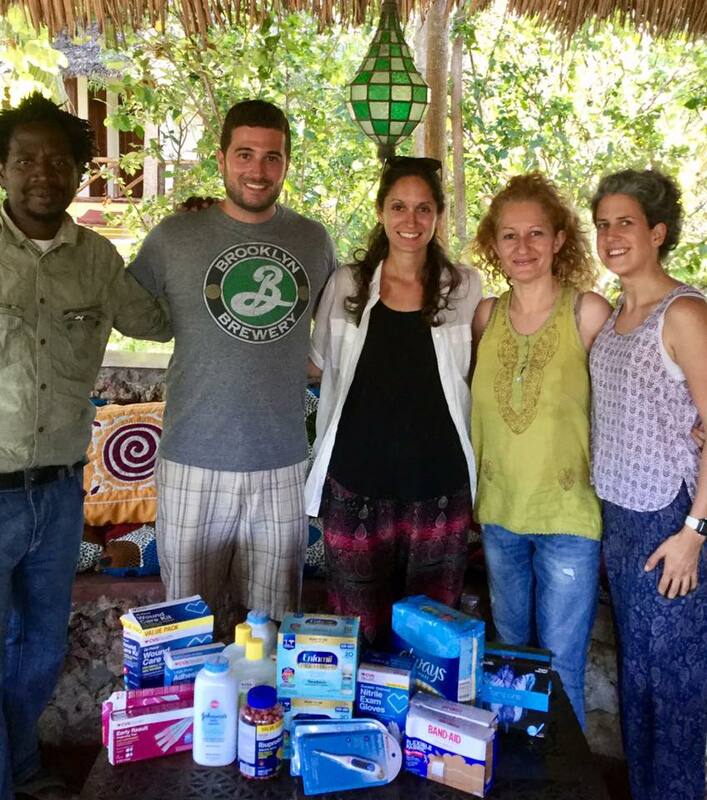 Haji and Marina expressed that while donating money always helps, it’s often tough to track exactly where the money goes, so direct donations like clothing, hygiene products and medical supplies are much more impactful for helping those in need. We had decided then that when returning home, we would take a look at any old clothing we didn’t need, and would send it their way. We are excited to share that we are in the process of prepping our first package to send back to Mangrove Lodge for this holiday season! We also learned about another amazing group in this process, Be Girl, and will be including their products in our package.